agricultural herbicide and have greater yields. 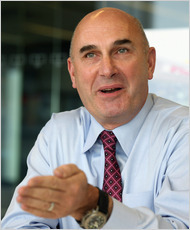 Hugh Grant, Monsanto chief, said competition was increasing as biotech crops matured. traits that make crops resistant to insect pests and herbicides. 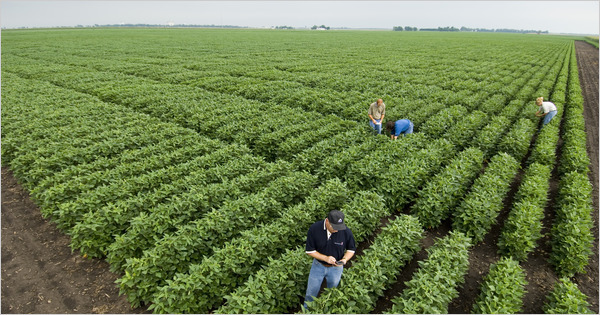 commodity crops, like corn and soybeans. and questions arise about how that power is used,” he said. combining biotech traits in a way that would benefit farmers. because of any untoward conduct on Monsanto’s part. prices went up 108 percent over that period. By contrast, the Consumer Price Index rose only 20 percent in that period. allowed plants to tolerate spraying of its popular Roundup weed killer. market power in the industry. Monsanto says that its licensing shows it is the opposite of a monopolist, encouraging rather than hampering competition. sales incentives typical of the industry. not permitted in its licensing agreement. successful, could potentially nullify the stacking ban. entry into the marketplace of generic Roundup Ready seeds. next, a money-saving step they are now barred from taking. taking other steps to make the entry of generics more difficult. continued to fret that cheaper generic seeds may be at risk.